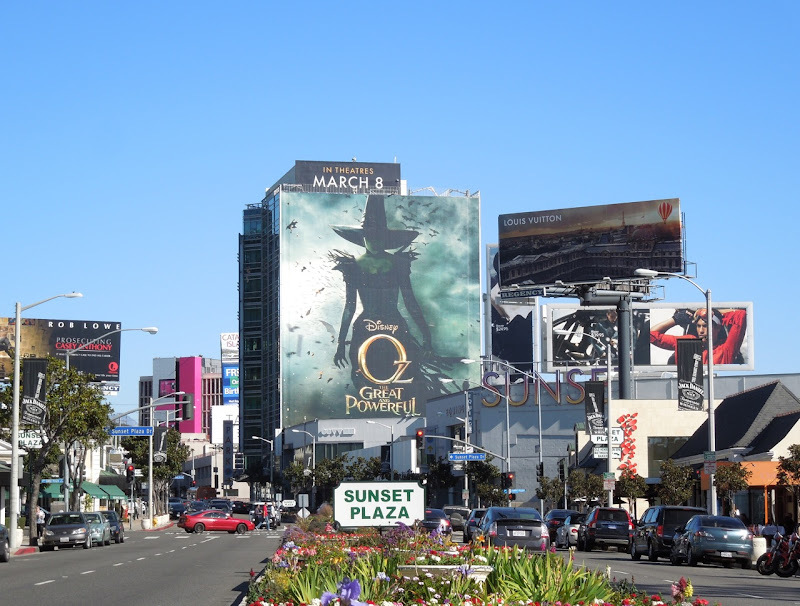 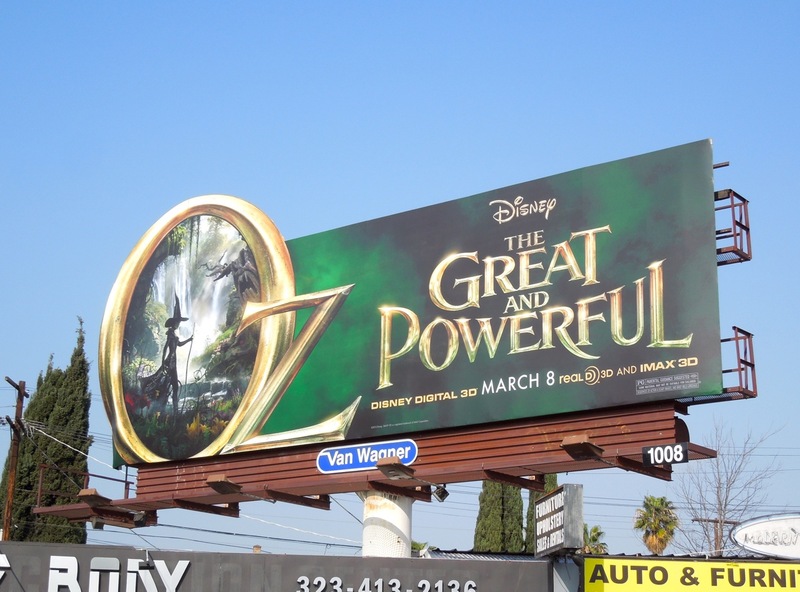 Somewhere over the rainbow, or in this case along Sunset Plaza in L.A., you'll find this fantastic super-sized billboard for Disney's Oz The Great and Powerful movie. Exploring the origins of the magical man behind the curtain in Emerald City, this prequel stars James Franco as the titular 'Oz'. 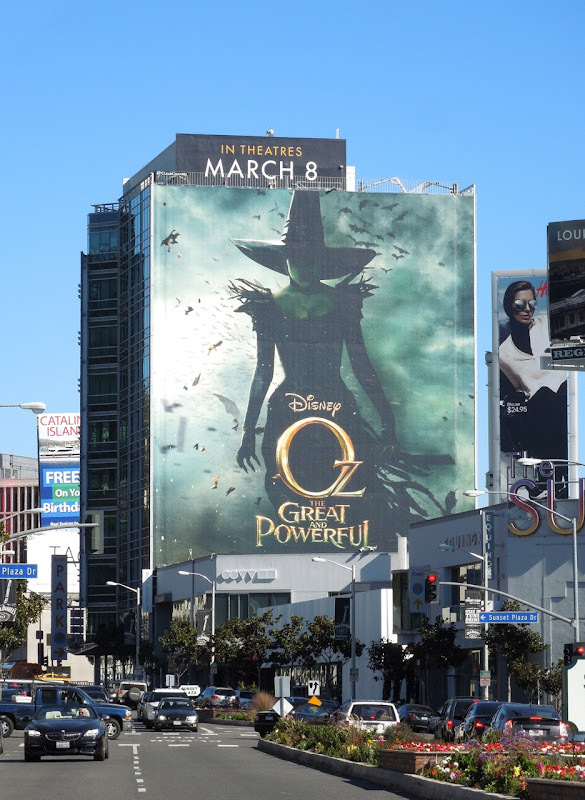 It certainly is the year of the witch, as Mila Kunis, Rachel Weisz and Michelle Williams play the sorcerous 'Theodora', 'Evanora' and 'Glinda'. 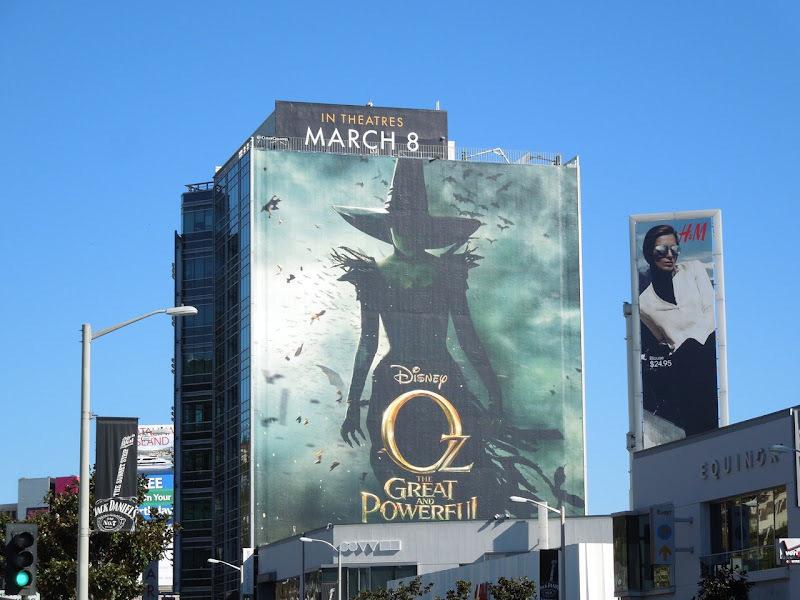 This spectacular billboard creative immediately evokes the iconic Wicked Witch of the West from 1939's classic The Wizard of Oz, with the emerald green background and hints of flying monkeys. 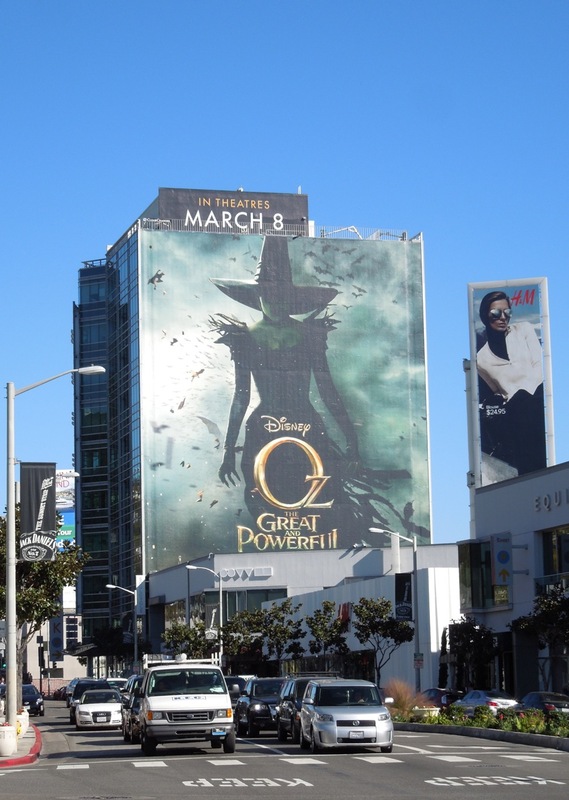 This giant billboard was snapped along L.A.'s Sunset Strip on January 18, whilst another smaller version was spied over the El Capitan Theatre along Hollywood Boulevard on January 4, 2013. 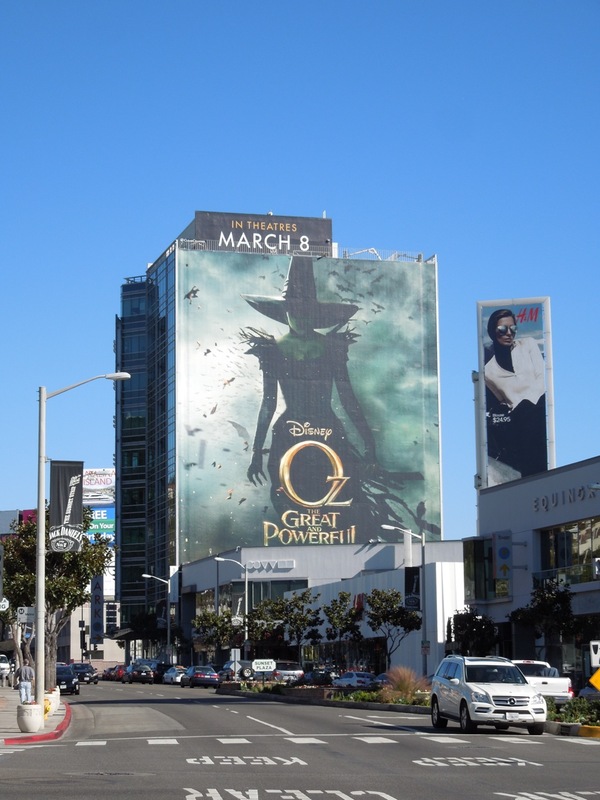 One thing is for sure, this March we'll all be off to see the Wizard, so let's hope he'll be as fabulous as these billboards for the film. 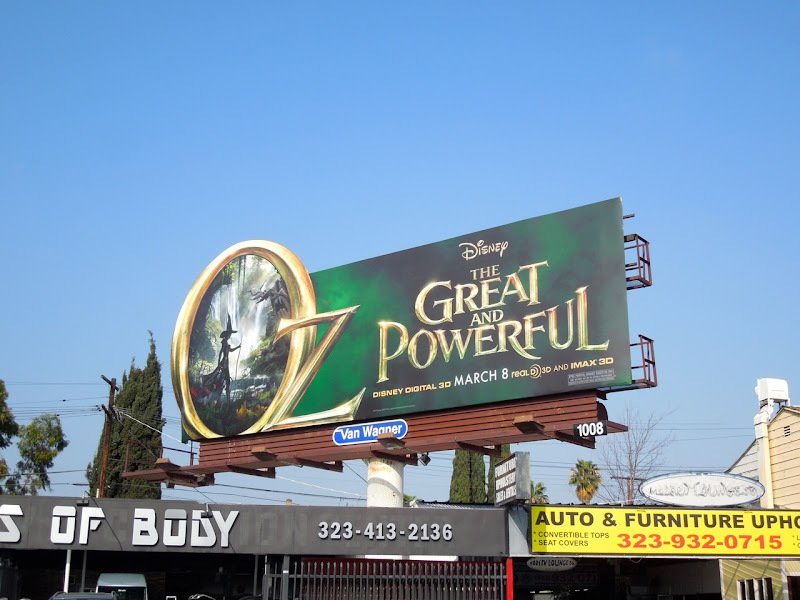 UPDATED: Now that we're getting closer to the magical movie's release date, here's a cool special extension billboard creative for Oz The Great and Powerful, with the emphasis on 'Oz', spotted along Melrose Avenue on February 6, 2013. 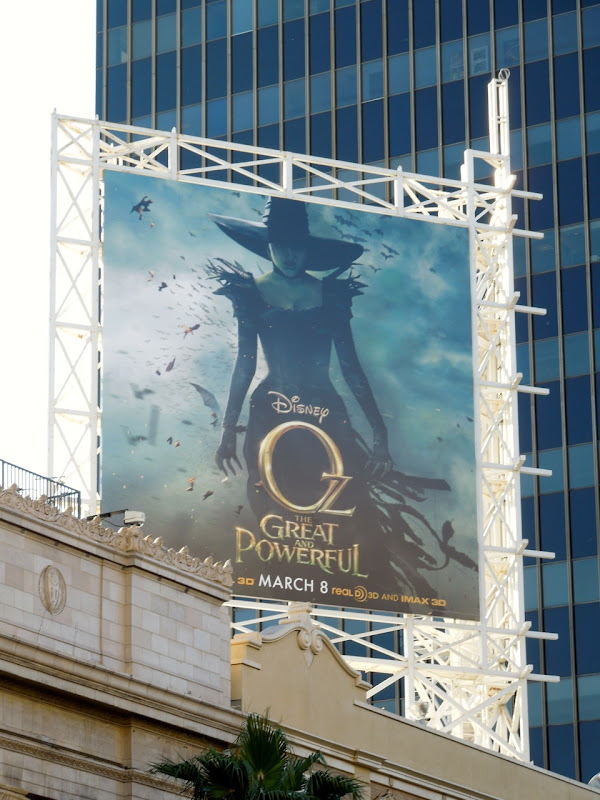 Be sure to also check out these original movie costumes and props from Disney's Oz The Great and Powerful.